Love. The Answer to Every Problem. This weekend I attended a conference called Resurgence 50. It was run by one of the most inspiring people I’ve met - Satish Kumar. But I had a surprise. The speaker that moved my heart was… a rap artist! And I was blessed to have some time to talk to him afterwards. Prince EA started life learning to rap like many of his friends. 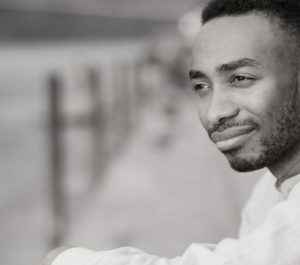 Whilst his friends rapped about getting the next new car or earning millions of dollars, Prince EA rapped about the serious issues facing humanity. His friends laughed at him. And that made him doubt himself. He wanted to prove them wrong. He wanted to be successful. An egoic desire for success consumed him as he dived into his career. He worked harder and harder, and suffered more and more. Then one day, he stopped. He made a big realisation. He didn’t want success. He just wanted to be happy. That’s the same motivation for our conference - happiness, peace and love come first. Everything else - later. Contentment in the present moment was his new mantra - not external success. Prince EA went into a deep spiritual search. He read every since spiritual text he could get his hands on. The Bhagavad Gita. The Tao Te Ching. You name it… he read it. And you know what he discovered? It’s only in ‘being’ that true peace and happiness reside. It’s not about how much you meditate… but who’s doing the meditation. The question you need to ask is: Who am I? ‘Stay with that question and you’ll find something incredible’, he said. Through the reflection and looking within, he discovered what’s more important than anything else. Then, he started rapping again. But he didn’t do it to become more popular or successful. 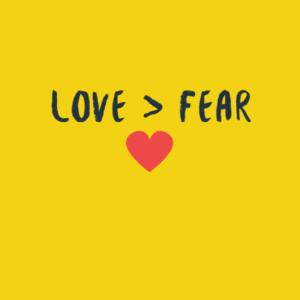 He stopped rapping out of fear and started rapping out of love. He realised that he only has a limited number of breaths and wants each one to be serving humanity. He created content from that space of love. He didn’t even put his name on his work at first - he just wanted to get it out there. And that's when the magic happened. An attitude of gratitude and service made his work go from 50 million views, to half a billion views on Facebook and Youtube. He played this video to us at the start of his talk. Mind blowing, right? Or should I say, heart opening. I was so moved by that statement. In that same spirit, I am writing this blog post. As if it’s my last piece. And that feels exciting, empowering and energising. One day, this moment will be my last moment. I’m writing this not just to share my conference, or to become more popular. That’s boring and soul-destroying. Trust the universe will look after you. And she will, if love is your motivation. ‘I’ve spent over 2 years walking around the world. The whole world. And I didn’t have a penny in my pocket. But I trusted the universe and I was very well looked after. And when I didn’t have somewhere to sleep, I slept in the million star hotel - under the beautiful sky’. Satish Kumar speaks from love. Prince EA raps from love. We’ve put our hearts into curating the Happier World Conference. Come along if you’re so moved to do so. I urge you to watch YouTube talks from the speakers we’ve invited and you’ll know why we’re so proud of what we’ve put together. And if you do want to come, booking today means you get an early bird ticket. So don’t miss that chance!